Tracy Lawrence, The Bellamy Brothers, Tyler Childers, Kenny Wayne Shepherd, LANCO And More Set To Take The Stage At Billy Bob’s Texas In April | 2911 Enterprises, Inc.
FORT WORTH, Texas – Billy Bob’s is the home of big-name concerts, bull riding and chicken fried steak with a reputation as gigantic as the state itself. Billy Bob’s Texas fans will be two-stepping throughout the month of April with top name entertainers from the past, present and future gracing its historic stage. A film crew for CMT’s Hot 20 Countdown will be visiting Billy Bob’s on March 29 to shoot a profile for their upcoming series on America’s Best Honky Tonks. They’ll be sitting down with country music icon Mark Chesnutt to talk about what makes Billy Bob’s so special, as the Texas stalwart celebrates his 44th performance at the legendary venue. 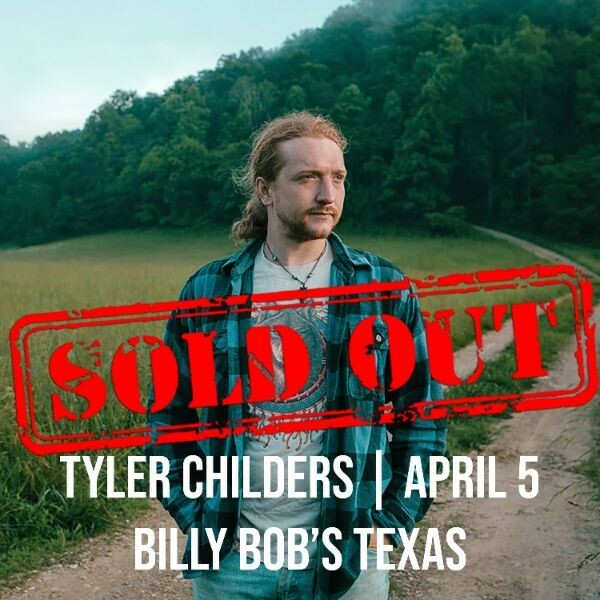 Tyler Childers April 5 Concert SOLD OUT! Fans of surging country music star Tyler Childers took only 2 days to sell out his April 5 concert. The native Kentuckian is set to grace Billy Bob’s historic stage on a wave of popularity brought on from his 2017 breakout album, Purgatory, which ascended to #1 on Billboard’s Heatseekers Album Chart. While Billy Bob’s is known for hosting the biggest stars in country music, it also hosts Rock ‘n’ Roll & Pop Music stars. Ringo Starr, .38 Special, Men At Work, The Go-Go’s, Steppenwolf, REO Speedwagon, Styx, The Doobie Brothers, Jackyl, KC and the Sunshine Band, Pat Benatar, Heart, and ZZ Top have all performed at the World’s Largest Honky Tonk. Even Ray Charles and Bob Hope have taken the stage at Billy Bob’s Texas. The Stars at Night, Are Big & Bright! Billy Bob’s is known for discovering new talent. In one weekend in 1982, it paid Reba McEntire $3,500 on a Friday, and George Strait $4,500 on a Saturday – a fraction of what those performers command today. Billy Bob’s Texas has been featured in many acclaimed films, including Pure Country starring George Straight, Baja Oklahoma starring Lesley Ann Warren, Peter Coyote and Willie Nelson. In Addition, Billy Bob’s Texas can be seen in reruns of many episodes of Dallas and Walker, Texas Ranger. Originally, the idea was to capitalize on the popularity of local musician Jerry Max Lane by naming the club “Jerry Max’s Texas,” but when legal barriers of licensing that name began to surface, Billy Bob added his own namesake to the club and “Billy Bob’s Texas” was born.